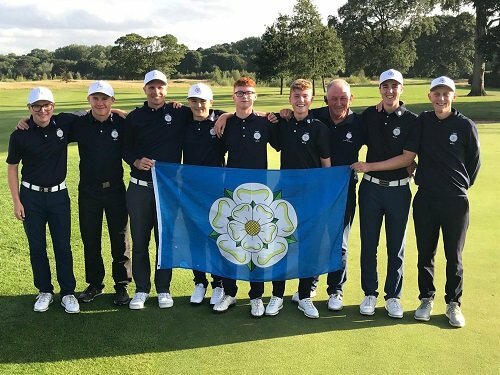 Yorkshire is a very successful county within England Golf reaching both the Men’s and Boy’s England Golf County Finals in 2018. 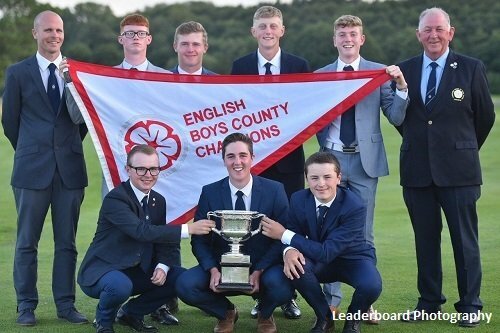 Both teams went on to become England Golf County Champions. The Boys’ team contested the final at The Rockliffe Hall Golf Club and came out victors by winning all 3 matches 19.5 – 7.5 and retaining the trophy. The Boys’ team have now won this event 8 times in 33 years. 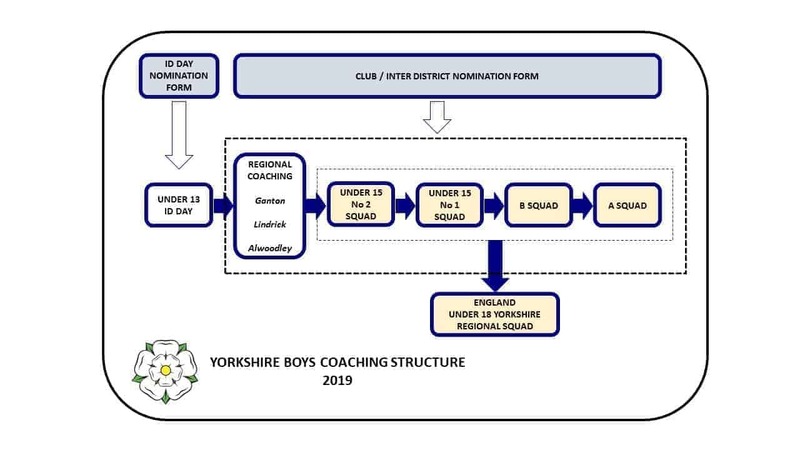 Within Yorkshire we pride ourselves on our Boy’s Player Pathway allowing our Boy’s to have the very best opportunities to the various levels of coaching and support throughout their time with us. Our aim is to identify those boy’s with the potential and dedication required to play not only at a County level, but potentially at National level, this is something we try to achieve on a regular basis. This comes down to our boy’s being offered coaching at a very high level from some of the most experienced coaches around, Graham Walker and Steve Robinson, both our lead coaches, both England Golf coaches and both awarded “Coaches of the Year” 2015 and 2016 & 2017 respectively. Given the size of Yorkshire we are supported by a team of coaches. All applications are assessed by the County Boys’ Manager along with the coaches, to consider their ability to be included within the winter/spring coaching programme. The chart below shows the pathway of our coaching programme. Our County programme is an addition to their own coaching; we are not here to be in conflict with their current coach, but rather to add further value and support in their development. The Boys are expected to take notes at each session and discuss further with their own coaching professional. You will appreciate we are a very large county and for those who are successful in selection, this does not mean they will be involved each year until they attain 18. No; each year the County Boys’ Manager and coaches undertake a review which is based on various factors, including current game, ability, attendance, dedication, attitude, to name a few! This ultimately means there is no guarantee of being invited back; however, it does not preclude them from being involved at a later stage. The Yorkshire Union of Golf Clubs has a Safeguarding Children Policy (Jan 2019) and is fully committed to ensuring that golf provides a safe environment in which children can learn about the sport without fear of abuse in its various forms. The Yorkshire Union of Golf Clubs is fully committed to supporting the principle and practice of the England Golf Equality & Diversity Policy.